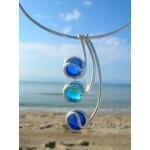 Colored glass There are 85 products. 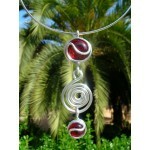 This collection includes more than 60 different designs, that are available with 20 different colors. 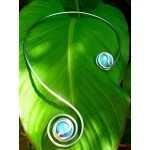 You can customize your necklace in many different ways : - choose the color of the glass - choose a black lace or an aluminum choker? 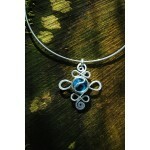 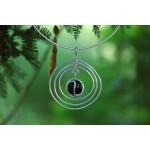 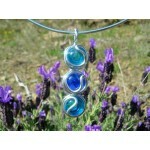 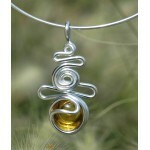 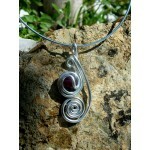 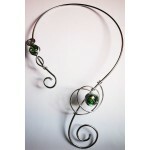 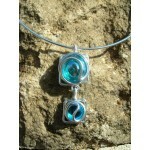 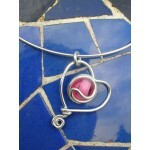 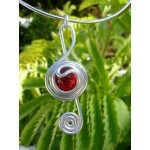 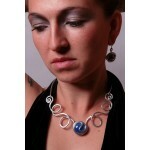 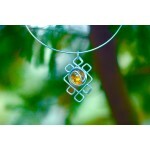 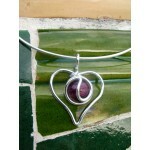 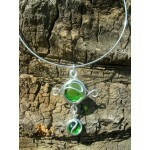 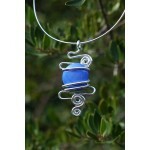 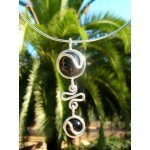 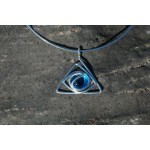 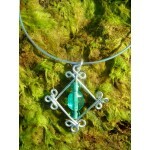 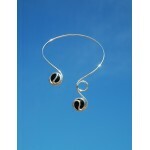 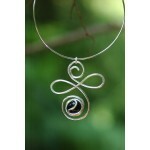 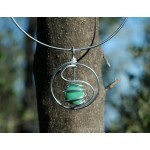 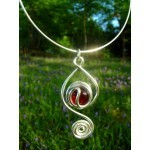 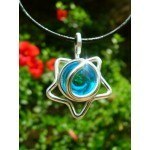 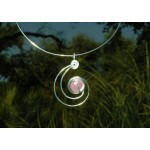 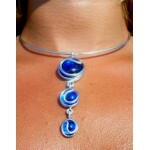 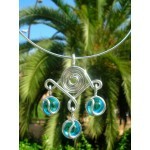 - choose your pendant style : with 2 or 3 spirales? 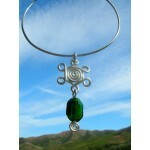 This celtic scarf-necklace is a really original creation and will be custom-made just for you : choose your favorite color! 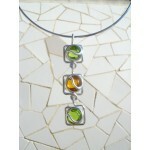 Perfect to match with your night-dress, "Fiesta" necklace is customizable : choose your size and favorite color (20 different colors). 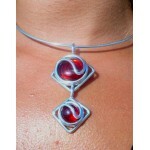 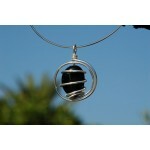 This pendant is delivered with a black flexible lace or a rigid aluminum choker. 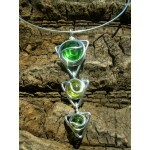 You can cutomize this pendant by choosing your favorite color (11 colors available for this model). 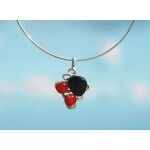 Choose the glass beads colors(the big one is ceramic and will be always black), give me your size, and decide wether you want an aluminum choker or a black lace. 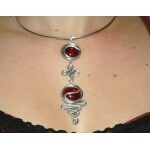 You can choose the color of the glass cabochon and decide wether you want a flexible black lace or a rigid aluminum choker. 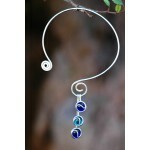 Choose the color of the glass bead. 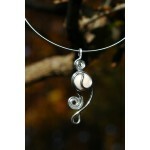 Available with a black lace or a rigid silver-color chain. 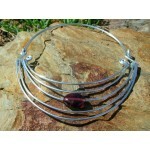 You can choose the color of the glass stone and decide wether you want a flexible black lace or a rigid aluminum choker. 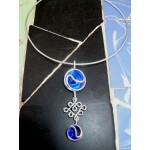 You can choose the color of the glass part and decide wether you want a flexible black lace or a rigid aluminum choker. 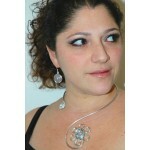 You can choose the color of the glass beads and decide wether you want a flexible black lace or a rigid aluminum choker. 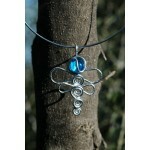 Each metal piece of this hand-made by me. 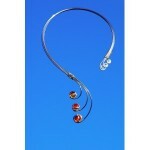 You can customize this necklace by choosing your-self the color of the glass bead. 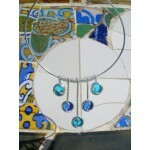 With hand-made metal pieces, colored glass beads, and Swarovsky cristal triangles. 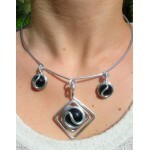 Each metal piece of this long necklace is hand-made by me; I am also using white and red glass beads. 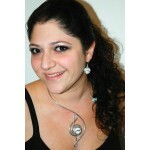 Cutomize your necklace by choosing the size and the color of the glass bead.